A bathroom is a quiet sanctuary where you can relax and unwind after a long day. For many people, a large, luxury bathroom is something that dreams are made of, particularly if you are restricted on space, however there are a few things you can do to maximise the size of your bathroom. At Osprey Bathrooms, we specialise in providing luxury bathrooms in Glasgow, and here is our advice on how you can make your small bathroom appear substantially bigger. Natural light is a wonderful way to brighten up your space and can instantly make it feel bigger. It gives the effect of open spaces and, for those who love to save money, provides your bathroom with free, sustainable lighting all day long. Make the most of your window by replacing the use of frosted glass with blinds or curtains wherever possible, as this will allow you to maximise your view while still maintaining your privacy. It is also a good idea to remove any clutter from your windowsill and instead replace it with some scented candles or potpourri. Mirrors are not only an essential feature in any bathroom, they can also give the illusion of more space without taking up much room themselves. If you are going for a modern look, using one large feature mirror will help you to instantly double the appearance of the room’s size. However, if wall space is at a premium or you would like to use a more traditional style, you may want to consider placing a few smaller mirrors around the room instead. 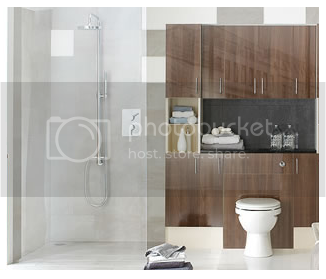 An open plan design is the best way to instantly open up your bathroom space. This can be achieved easily by installing a wet room as opposed to a bath or shower stall, and can also give your home a luxurious, modern look. 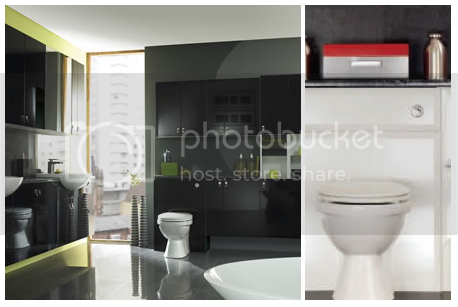 You can also get this effect through clever storage solutions that help to organise clutter. Recess shelves are particularly useful for bathrooms with limited space for cabinets, and will continue the theme of contemporary luxury. As you can see, a luxury bathroom can become a reality no matter what the size of your home is, and at Osprey Bathrooms, we can provide you with the perfect bathroom to suit all your needs and preferences. For more information, contact us today by calling 0800 007 5344.